London Apr 5: Exercising while seated could improve the health of frail older adults and a group of elderly care home residents are helping experts find out whether this is true. 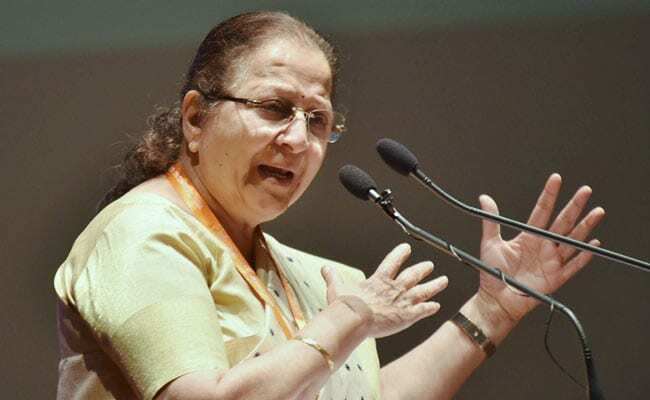 Lok Sabha Elections 2019: Sumitra Mahajan, outgoing Lok Sabha Speaker and an eight-time lawmaker from Indore, turns 76 next week, just above the BJP’s age bar for candidates. Chennai, Apr 5 (PTI) It will be a battle of leadership styles of Mahendra Singh Dhoni and Ravichandran Ashwin when Chennai Super Kings clash with Kings XI Punjab an IPL match here on Saturday. New Delhi Apr 5: The government has sold enemy shares worth around Rs 1,150 crore in IT major Wipro to Life Insurance Corporation and two other state-owned insurers. Dhubri Apr 5: The National Register of Citizens (NRC) and the Citizenship Bill are “two lollipops” being doled out by Prime Minister Narendra Modi to “fool” the people of Assam, West Bengal Chief Minister Mamata Banerjee said on Friday. Changlang, Apr 5 (PTI) BJP president Amit Shah Friday said the Narendra Modi-led government has ensured peace and development in the northeast, which was roiled by militant activities even five years ago. New Delhi, April 5 (PTI) The Supreme Court Friday stayed the Delhi High Court order asking the Associated Journals Ltd (AJL) to vacate the National Herald House building here. New Delhi, Apr 5 (PTI) The Income Tax department has notified I-T return forms for individuals and companies for the assessment year 2019-20. New Delhi Apr 5 : Commerce and Industry Minister Suresh Prabhu on Thursday said the proposed new industrial policy has been finalised and the new Government would announce that.